Mike was an incredible man with a heart of gold. He grew up in Hudson, Wisconsin. He moved to the Phoenix area shortly after High School graduation and remained there for the rest of his life. He has two kids Michael, 26 and Allison, 24 along with one Grandchild, Bentley who is 7. Mike was an animal lover to the core. He was likely greeted at the gates of Heaven by his childhood dog Ringo and several other favorites Cuddles, Pookie and Bootsie (his cat). One of Mike’s favorite things to do was to draw fun pictures with Bentley of their dog, Lucky. 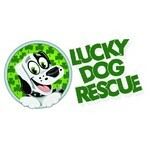 Lucky, who is a 6 year old Boxer mix (we think, hard to say! ), was Mike’s partner in crime for the past 5 years. They were inseparable and were the absolute best of friends. Lucky was always laying right next to Mike’s wheelchair to make sure he was safe at all times. He had to get a bigger bed so lucky could sleep right next to him! Mike will surely be missed but will never be forgotten, especially by his furry friends.